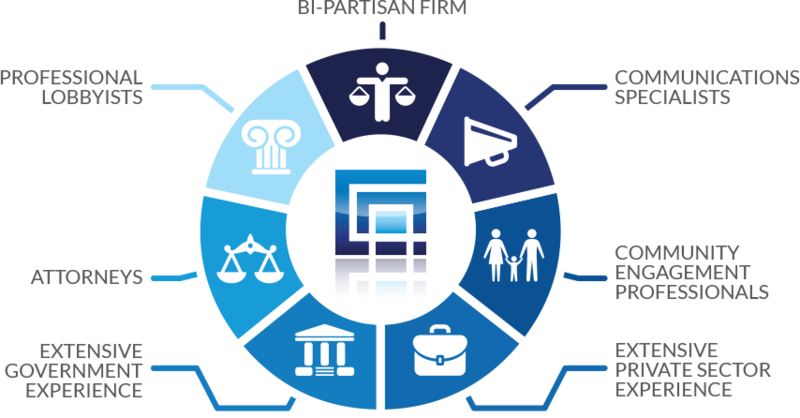 Colorado Advocates, Inc. is a government relations, community engagement and procurement assistance firm that helps our clients participate effectively in government processes to favorably shape decisions through lobbying, strategic communications and grassroots coalition organization. Our mission is to help you achieve your business objectives by developing and implementing successful advocacy programs. Our firm has extensive professional experience in government relations and legislative advocacy. For more than 25 years we have been engaged to develop strategies and represent clients before a wide range of public decision maker, including: the U.S Congress and federal agencies, the Colorado legislature and Colorado departments and agencies, cities and counties and special districts, and in state capitols throughout the United States. Throughout this time we have established a reputation for honesty, credibility and creativity. Equally important, we are well known for our depth and subject matter expertise across a broad array of law and public policy matters. Our approach combines sophisticated analysis and substantive understanding with strategic persuasion to achieve consistent, successful results for our clients. We are well-qualified and prepared to help you advance your agenda before government decision-makers through our legislative and regulatory counsel services, including coalition development, direct lobbying and legislative and executive branch liaison support. We value collaboration, professionalism, community and respect in all our conduct as we help you protect and advance your interests. We are seasoned professionals who are results-oriented and will direct our efforts on your behalf toward helping you achieve your defined and specific objectives to make your business more successful. We bring enthusiasm, creativity and strategic purpose to help you secure decisions favorable to your business.